Flowercraft was established in 1992 and has always been family owned. 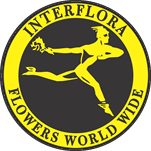 We have retained our reputation for providing excellent quality fresh flowers in a variety of styles including traditional, contemporary and bespoke arrangements. We have been experts in expressing emotions through flowers for over 20 years and understand the importance of getting it right. 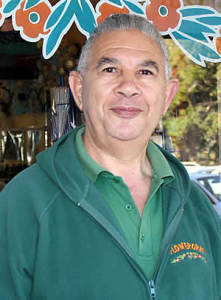 Our passion is flowers and our commitment is to enriching lives through the message you send. We are committed to ensuring that you receive the best service and experience possible when ordering from us. Our flower arrangements are hand-designed and personally delivered. From traditional flowers to modern flowers; luxury flowers to stylish table displays – Flowercraft’s designs are perfect for any occasion. Whether it be for a wedding, a birthday, an anniversary, a new baby, a new home or to express sympathy, you can be sure that Flowercraft will deliver the perfect gift. “Your flowers outlasted all the others!” – This is the compliment that most often comes our way. In truth, this is one of our favourite things to hear. One of our most satisfying moments was when an elderly couple drove 60 kilometres just to thank us for the beautiful flowers they had ordered. That is how proud they were of what we had delivered on their behalf to a very special friend of theirs. That is what our business is about – delivering your message in a way that makes it special. Our aim is to constantly strive for perfection. 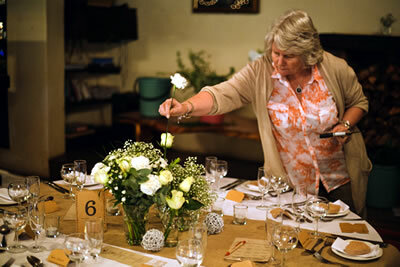 Flowercraft employs the talent of a dynamic team of florists and we are justifiably proud of their work. Our customers’ needs are paramount in our business and our excellent reputation is testament to this. 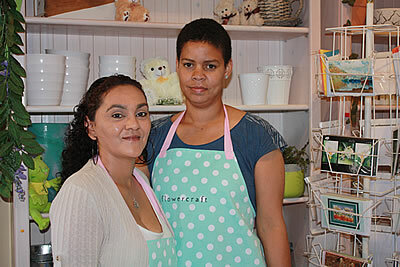 Flowercraft caters to a very broad spectrum of clients – from large corporates to walk-in clients. We specialise in all types of floral and plant arrangements as well as gourmet and fruit hampers, novelties and the like, not to mention flowers for wedding and functions. There are Flowercraft branches in Pinelands, Fishhoek and Kenridge. We are ideally placed to deliver anywhere in the Peninsula. Our mission is to remain the choice florist serving Cape Town and the Western Cape Peninsula by providing the highest quality customer service while providing beautiful floral expressions and value for money for every occasion.